“Detention could be ended if and when states want to, we must campaign until no person is detained”. 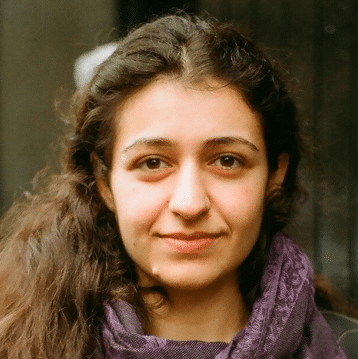 Pinar Aksu is a global campaigner who has been a Youth Advocate with the campaign since 2015. As a child, Pinar was detained with her family in the United Kingdom. Pinar now lives with her family in Scotland and after her experience underwent an undergraduate degree in Community Development and a Master’s degree in Human Rights and International Politics from the University of Glasgow. She works as project coordinator, facilitator and is involved with several campaigning groups supporting asylum and refugee rights, promoting integration and opposing racism and detention. Pinar is involved in using theatre, workshops, grassroots organisations and community campaigning as methods to raise awareness about asylum, refugee and immigration related issues. How long have you been involved with the Global Campaign to End Child Detention? I have been involved with the campaign since 2015 and it started with the Human Library at Council of Europe. “In July 2017, Pinar testified before the Parliamentary Assembly of the Council of Europe (PACE) Committee on Migration. She shared her commitment to ending child detention in her new home, and around the world.” Council of Europe 2017 June Invited by the Campaign to End Immigration Detention of Children of the Committee on Migration, Refugees and Displaced Persons of the Parliamentary Assembly of the Council of Europe to speak at the round table on ‘European alternative solutions to immigration detention of children’. I shared my personal experience of being detained as a child and engaged in discussions. Global Conference on Children on the Move 2017 June Invited by Save the Children and Terre des Hommes, I participated as a Youth Delegate and contributed to discussions to feed into the Initiative for Child Rights in the Global Compacts, adopted by UN General Assembly for the New York Declaration for Refugees and Migrants. The conference included UN agencies, civil society, human rights institutions, donors and the private sector. Geneva 2017 June Invited by Save the Children Geneva and the Permanent Mission of Canada Mission to the UN, I have participated in the ‘Leaders’ Summit on Refugees- An expert Level Meeting on Improving Refugees’ Access to Education’. I provided evidence and shared examples of ways to improve access to quality education for refugee children and young people. Geneva April 2018 Promotion of the CMW-CRC Joint General Comments on the Human Rights of Children in the Context of International Migration. Shared personal experience and provided practical solutions for ending detention. What are your hobbies, or how do you like to spend your free time? Free time is something I continue working on. Usually i spend time with my family and enjoy life. Do you currently work or study? If so, what’s your job or what do you study, or what did you study? Pinar has an undergraduate degree in Community Development and a Master’s degree in Human Rights and International Politics from the University of Glasgow. She works as project coordinator, facilitator and is involved with several campaigning groups supporting asylum and refugee rights, promoting integration and opposing racism and detention. Pinar is involved in using theatre, workshops, grassroots organisations and community campaigning as methods to raise awareness about asylum, refugee and immigration related issues. What do you want to see the campaign accomplish? What is the solution to end child detention? To continue raising awareness of the impacts of detention. Detention could be ended if and when wanted by states, we must campaign until no person is detained.